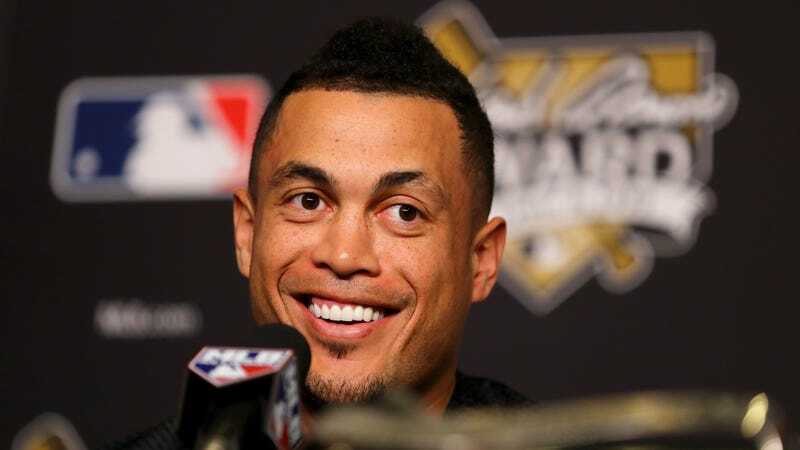 Giancarlo Stanton, heretofore an easily likable dong-mashing baseball hero, will complete a dramatic heel turn and join the disgusting New York Yankees, according to multiple reports. After Stanton burned the utterly repulsive Cardinals, there was hope that he would spend this holiday season cruelly burning your various villain teams before eventually settling on a broadly acceptable destination—like, I dunno, the Athletics—but it turns out he is, instead, a bad and evil baseball man. Immortality was there for the taking; Stanton has truly chosen the way of the Dark Side. Pending details of the trade, the reigning NL MVP will likely join with Aaron Judge to form a truly sickening corner outfield duo, causing me to consider rooting for the vile and despicable Red Sox during future match-ups, and thereby committing my soul to eternity in hell.